Acute monocytic leukemia. These lesions are rarely found in chronic leukemia but are a common finding in acute forms. They appear as erythematous infiltrations of the skin, forming papules, macules, and plaques. 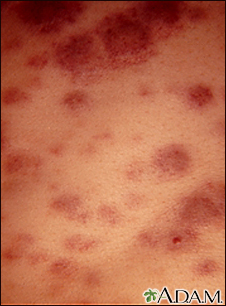 Pruritus may be present.